Midori Samson: A week in Manila! We have just completed our week in Manila. This week, rather than working together and focusing on 1 school, our team spent most of our time divided by discipline, finding connections with programs and local professionals in our fields, as well as beginning pilot programs with potential partner schools. Before we head to the Philippine High School for the Arts, here is a day-by-day of how we spent our week in this busy city. 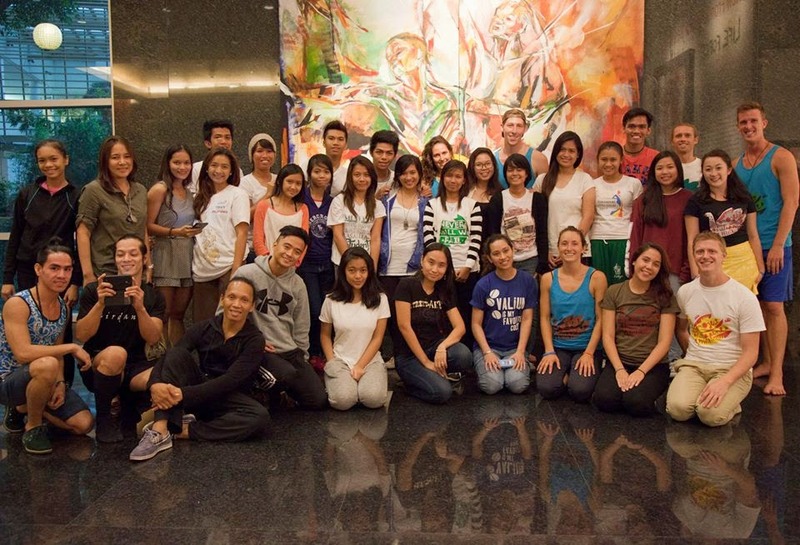 The dancers spent the day teaming up with the Philippine Ballet Theater, taking as well as teaching class. Brian and I spent the day catching up on much needed practicing and rehearsing together! While the dancers and actors worked with the resident companies at the Cultural Center of the Philippines, Brian and I met up with members of the Philippine Philharmonic Orchestra (PPO) for dinner on the Manila Bay! 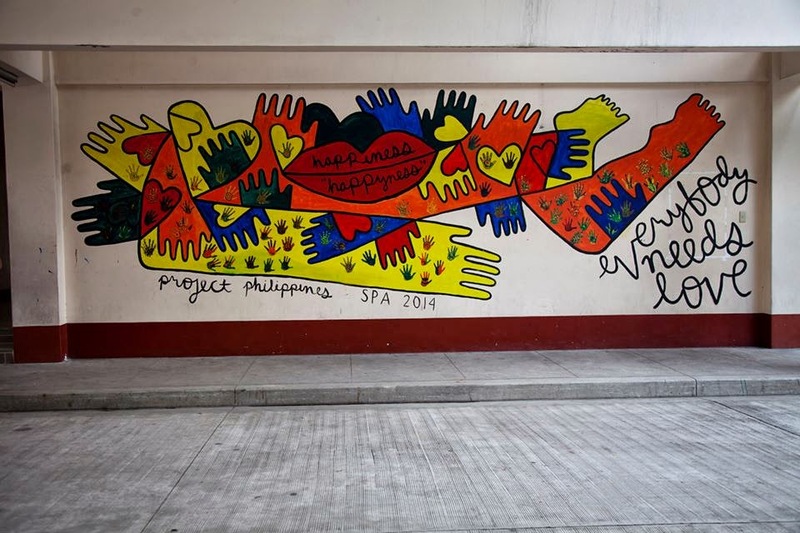 All 8 of us teachers were reunited to begin a 2-day workshop at a Mariano Marcos Memorial High School in Santa Ana. 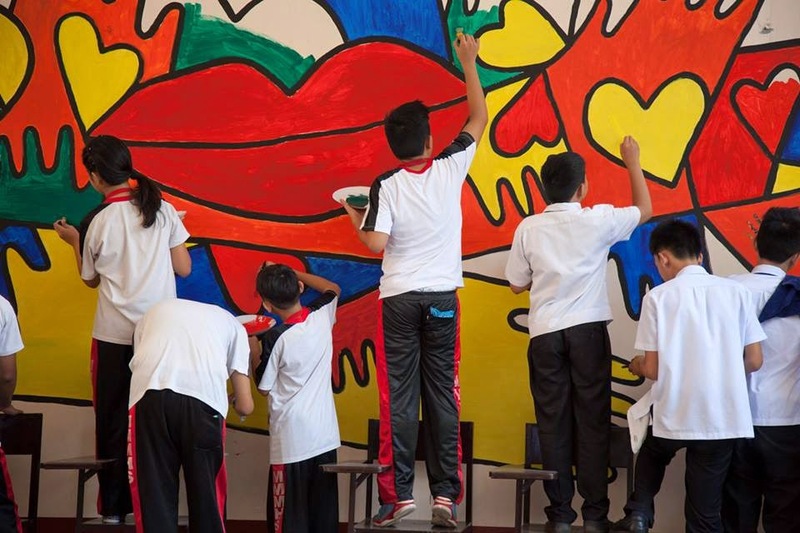 This is one of the only high schools in Manila with arts classes and we worked with students enrolled in their Special Program for the Arts. 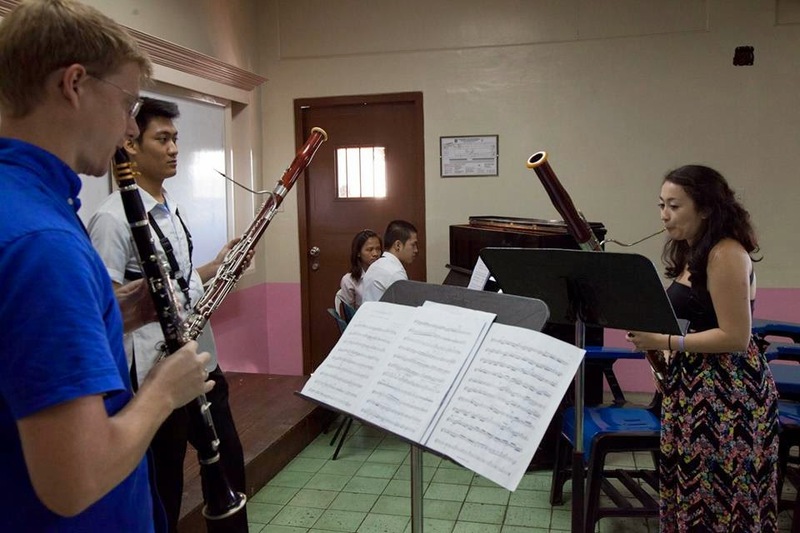 The students who specialize in music take classes in choir and Filipino instruments. We had our first experiences in soundpainting, ostinato, and minimalism using these instruments and vocal sounds of Manila. Here is a video of a student performance from class. Brian and I headed straight for the University of Santo Tomas where I gave my first university masterclass for the 9 bassoonists who study there. The students were excellent! 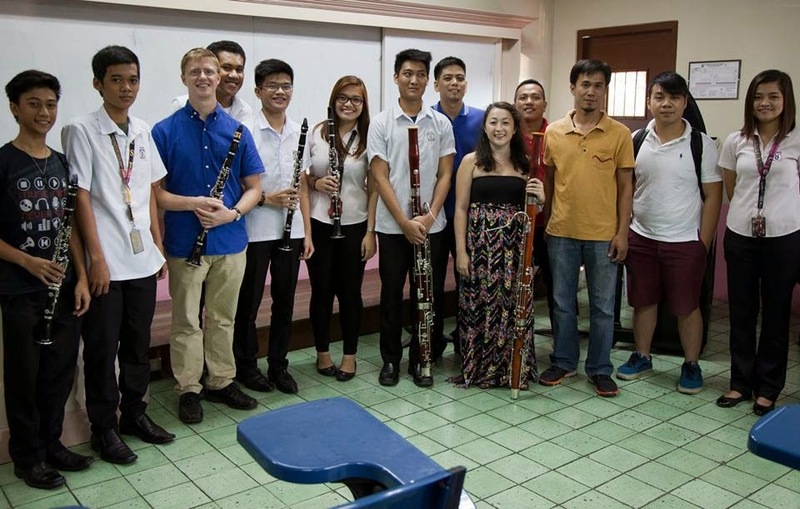 It was such an amazing reminder of how much I love teaching specifically bassoon, since I had forgotten in all the work we were doing in Catarman in beginning music. To close the class, 5 local bassoonists and I read bassoon ensemble music. What a party!! I was so thankful for Pong Mendoza, the principal bassoonist of the PPO who set up the day. We concluded the 2-day workshop at MMMHS with one final class. In music, we did a large group reading of Terry Riley's In C on Filipino traditional instruments as an introduction to aleatoric music and performers' choice. Then all the arts students gathered for a performance exchange where we performed pieces for them, then they did the same for us. Kyle also finished a large mural project with the visual art students that he has been planning for several months with MMMHS. It is titled "happyness" everybody needs love. It was a great pilot workshop with this school that has such a deep love for the arts. This morning, we were so lucky to be invited to observe the PPO in rehearsal preparing for their performance of Rigoletto opening next week at the Cultural Center of the Philippines. I so badly wanted to jump in and play with such a great orchestra!! All the disciplines spent the afternoon together teaching a workshop at Manila's beautiful Ayala Museum. The workshop was for local young performing artists, art lovers, and anyone interested; they all signed up for the all-day workshop to take a class in each discipline. Since the classes were held one-after-another rather than rotating, I was able to see my fellow volunteers in action and even took their classes in theater in dance. It was so beautiful to see how connected all the disciplines really are. To celebrate these connections, Brian and I taught vocal soundpainting during our music portion of the workshop and then had the participants make decisions on how our gestures would be interpreted in theater and dance. The workshop concluded with one large group piece where each participant chose a group (dance, theater, or music) to interpret the signs in their own discipline. The result was a stunning piece of improvisatory cross-disciplinary collaboration. 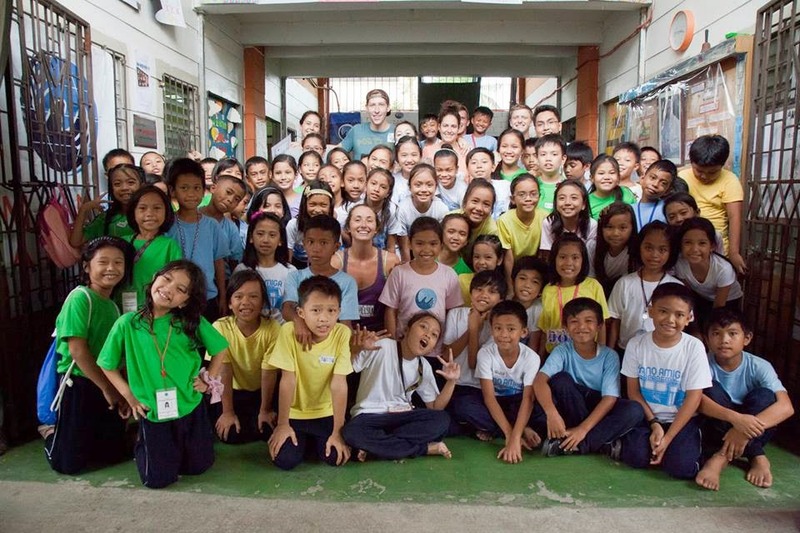 Our final day in Manila was a very challenging one. 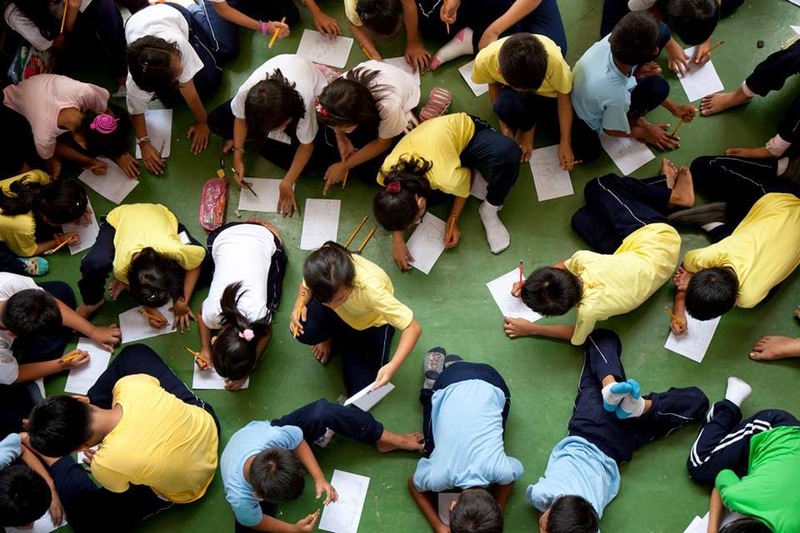 We spent the day with Mano Amiga, a private school and organization that offers high quality education to families who do not have the means to enroll their child in school at all. Because we had gotten so used to working with students age 11-18, suddenly being thrown into a room with 30 six-year-olds was very trying. But once we were adjusted, we had so much fun playing and exploring our art forms together.